In case you haven't noticed, it's an election year. Along with making promises, shaking hands, and kissing babies, candidates and their supporters are leaning heavily on Web 2.0 sites to deliver their message. But they're not the only ones. There are scores of political action sites that can help you get up to speed on laws and legislation, see how elected officials are spending your money, argue with fellow citizens on issues of import--and even make and broadcast your own political ads. It was either Alexis de Tocqueville or Hunter S. Thompson who said that, in a democracy, people generally get the kind of government they deserve. Here are five ways to get your just desserts. Why wait until the Tuesday after the first Monday in November to cast your ballot? 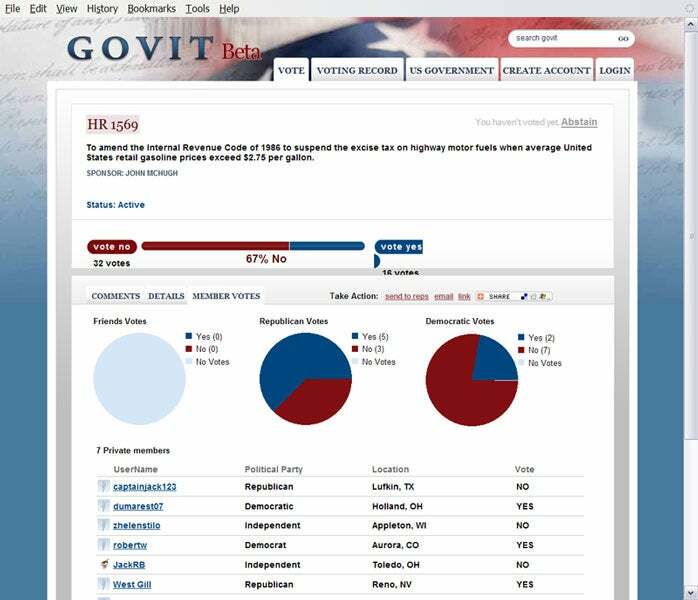 At Govit.com, you can "vote" on pending legislation, post comments, then compare your votes&#160;with those of other Govit users and your elected representatives. After you vote on, say, closing Guantanamo Bay or opening the continental shelf to oil drilling, you can submit your choice, along with a brief note, to your local Congressperson, U.S. Senator, or the President. 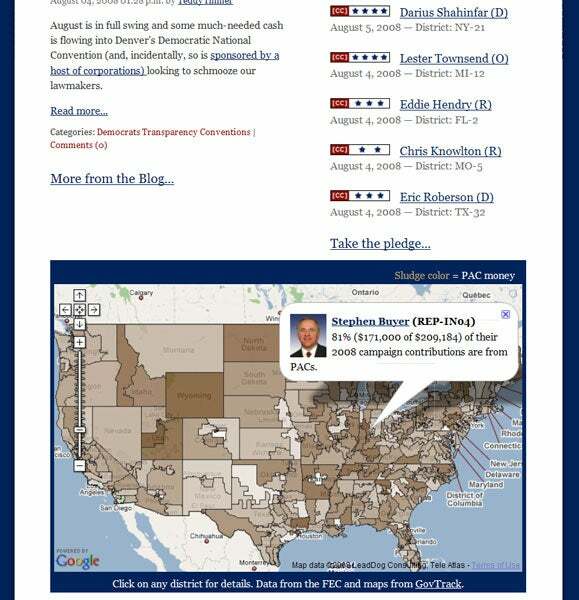 The site also features a handy map to each Congressional district and the executive branch. (Quick, who's Secretary of the Department of the Interior? Give yourself five points if you came up with Dirk Kempthorne.) You can drill down into each Congress member's voting record on every bill and follow the money trail of their biggest campaign contributors. The site is still in beta and was a bit slow to respond--much like Congress itself. Change Congress has one explicit goal: to change how money influences our nation's political process. Launched by Stanford law professor Lawrence Lessig and Internet campaign guru Joe Trippi, Change Congress has one explicit goal: to change how money influences our nation's political process. The wiki is built around a four-point pledge: To&#160;receive a full four-star rating, candidates or office holders must vow to accept contributions only from individuals, not committees or lobbyists; to support banishing earmarks from legislation (earmarks are unnecessary provisions often added to bills to serve as paybacks to large donors); to reveal who they're meeting with and where their campaign money comes from; and to support public campaign financing. A handy map on the home page displays how much money each politico receives from political action committees (PACs). You can find out which of these positions (if any) a candidate or representative supports by clicking the "Tag" tab and plugging in your ZIP code. If there's no information available, you can add it along with the source for the information (like a Web site). Site administrators will verify or correct this data later. Though nominally a wiki, Change Congress isn't very interactive; so far, all you can do is add information about what positions candidates have taken on the four-point pledge. It's also still a long way from being comprehensive, and much of the information displayed on the site was unverified at press time. But the biggest changes always start with small steps.